Selecting the perfect fencing for your needs is only half the battle – you still need to know that you can trust the company doing your installation. At All American Fence, our professionals have many years of experience installing fences of all types from vinyl and wooden, to iron and deer fences. We have worked with hundreds of families and organizations to ensure that your fence is not only ideal for your situation, but also remains durable and looking great through the years. 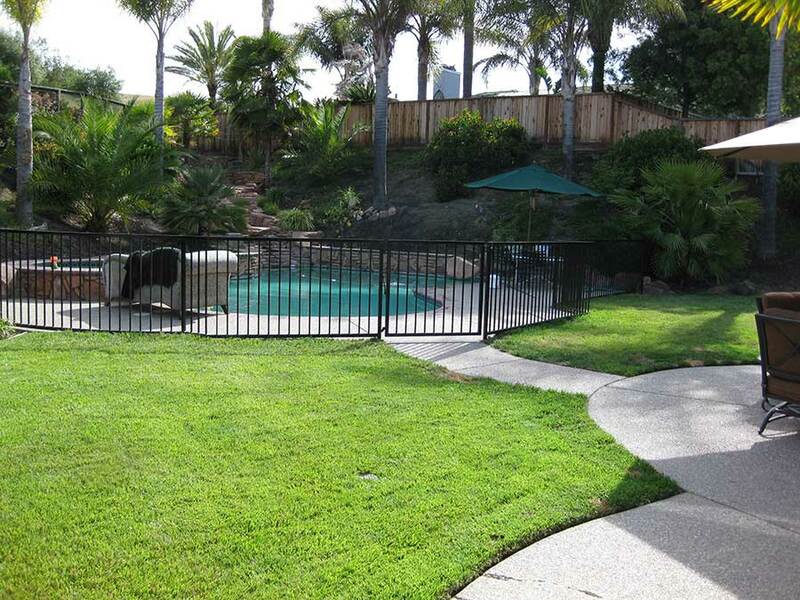 Our pros have the knowledge that you need to successfully maintain your fence. Maintenance is generally easy, with our vinyl fences and chain link fences being the easiest to keep looking great through the years. ⇨ Once your fence installation is complete, please do not use or disturb your gate for 48 hours. Please also do not “test” or apply pressure to the new fence. The concrete footings are fresh and may not set properly if they are interfered with. ⇨ We recommend protecting your wood fence with a stain and sealer. We offer this service at an additional optional cost. This treatment will help condition and protect the wood by repelling water. The stain we use is the Pacific Red color and it provides a tinted color and is not like an opaque paint coating. You will want to maintain the stain and sealer by re-staining your fence every three or so years. For stain maintenance, be sure to prepare your fence by pressure washing it and let it thoroughly dry before re-staining it. This will help remove dirt and debris that has gotten stuck on the wood over the years and allow for a more even coating of stain on the wood. ⇨ We do not recommend staining only one side of the fence, as you are not fully protecting the wood and the stain may bleed through to the other side of the fence. ⇨ Keep the base of your fence line clear of excess dirt and debris for a longer lasting fence. Rotting leaves, wet dirt and bark accumulating up against the fence will pre-maturely accelerate the decay of the wood. ⇨ Trim back trees and heavy shrubbery so that they are not leaning or growing into the fence, which could force the fence out of alignment. ⇨ The interlocking wires are steel-coating, making them exceptionally strong and durable in poor weather. ⇨ Adjust sprinklers from spraying excess water onto the fence. The excess water will accelerate deterioration of the wood and also cause iron fences to deteriorate and rust. We firmly believe that installation of your fence is every bit as important as the materials that are used. High-quality installation procedures are developed over time, and we have been working on defining our processes for over 30 years. 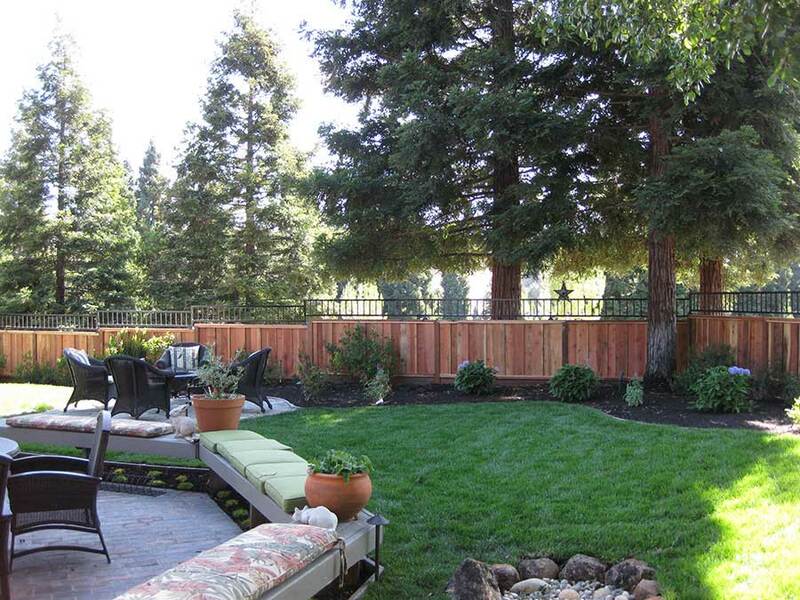 Give our All American Fence professionals a call at 925-743-8583. We will walk you through the costs associated with installation of your fences at your convenience.